The management of the Servite Cloisters was compelled to develop an architecturally-dominant structure for the new Servite Cloisters of the Triumphal Arch on the southern part of Maria Theresa Strasse. In the 1626 landmark building, three spacious, modern office units have been planned with a total of 900m with service space. The roof has been completely renovated and optimized for thermal properties. 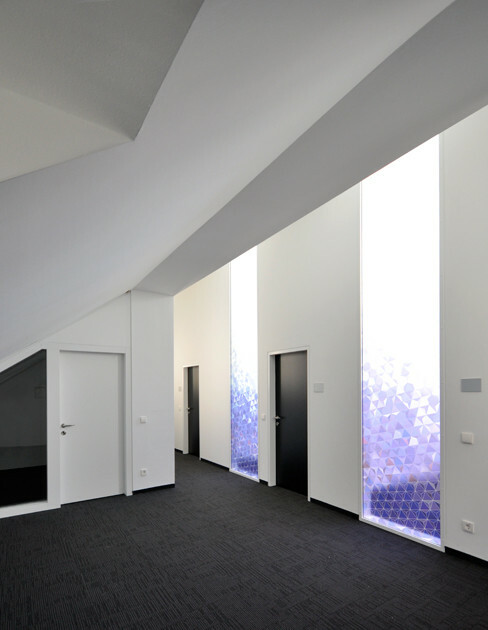 The street-side roof slopes are now being used as circulation or as archive and community rooms. 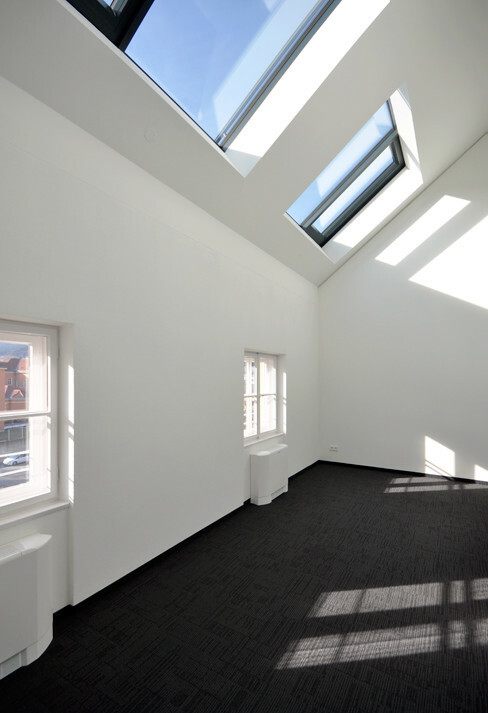 In the western side is prestigious, light and airy office space with high ceilings, allowing in generous daylight. 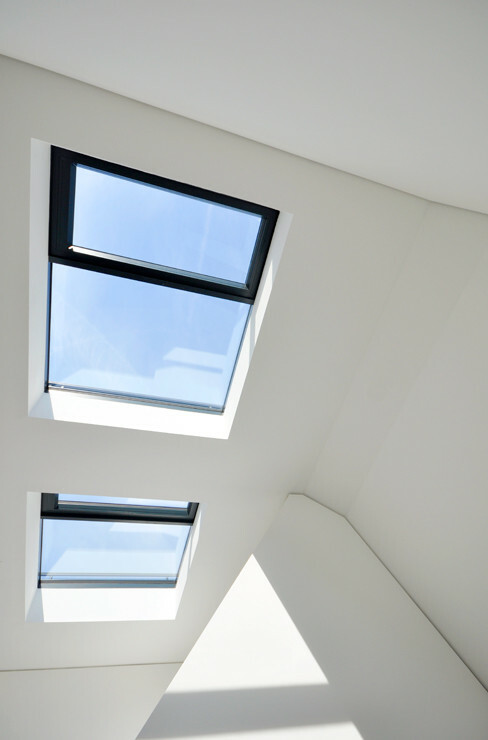 This was made possible by replacing the existing windows with large skylights. 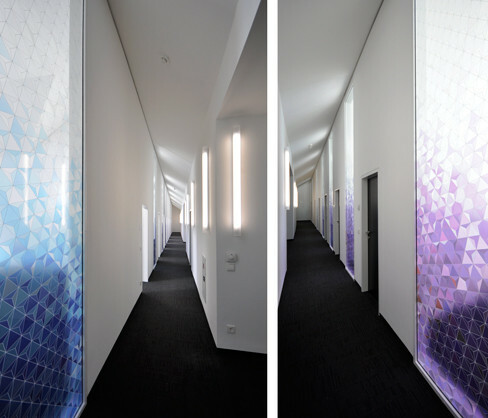 Stained glass windows in the long entrance passage create a modern but sacred atmosphere. 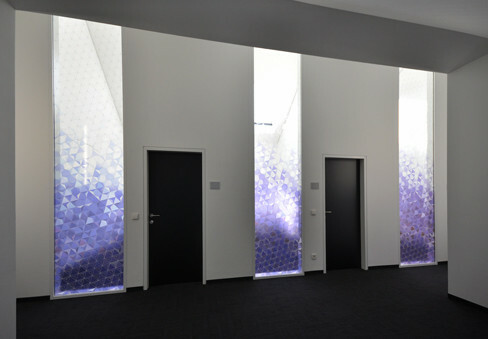 The transition is optically connected to the office areas through this motif.